Whales are magnificent creatures; they have entranced seafarers, children and tourists and inspired literature all over the world for centuries. But not everyone has this same reverential admiration. In 1993, Norway resumed commercial whaling under an objection to the International Whaling Commission’s (IWC) moratorium. Between 1993 and 2016, Norway hunted almost 12,400 minke whales – not including the 2017 season, doubling catches of Japan and Iceland combined. 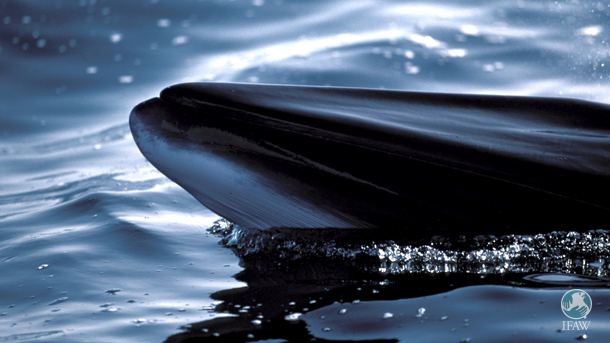 Last February, it was also announced that Norway would increase its quota to 2,000 minke whales annually although that domestic demand for whale products in Norway has declined. Therefore, new markets have been pursued such as whale meat used as feed on fur farms, and the development of food supplements and pharmaceutical products derived from whale oil. This Resolution echoes the EU position concerning the cruel and unsustainable practice of whaling, urging the Council and Commission, at the forthcoming IWC 67 meetings, to take a common approach to whaling that is at least as precautionary as the present common position. IFAW opposes commercial whaling because it is inherently cruel and we, together with other animal welfare and conservation NGOs, sent a letter of support to the EU Parliament in favour of the Resolution and stated that Norway has made many assertions about the sustainability of its catches. However, the IWC itself still hasn’t found an appropriate sustainable approach to manage whaling and we advocate that any killing of cetaceans for commercial purposes is simply unacceptable. Yesterday’s vote sent an unequivocal message to Norway, which we hope will be taken into consideration that it should end these cruel activities. It also asks the Commission to take steps to halt the transshipment of whale meat through EU ports.